Yamaha Corporation Japan revealed at the IBC Show in Amsterdam that it will update its Dante products to support the AES audio-over-IP interoperability standard. This will allow Yamaha products equipped with Dante networking capability to communicate with Ravenna and other audio networks via AES67. Beginning with the CL Series Digital Mixing Consoles introduced in 2012, Yamaha has included Audinate’s widely favored Dante audio networking solution in digital mixers, signal processors, power amplifiers, and other pro audio devices, contributing to the growth of audio networking throughout the industry. 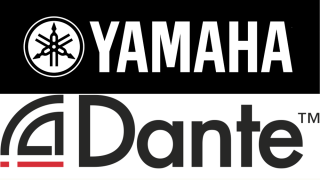 As of this month, a total of 24 Yamaha products offer Dante networking capability. AES67 is an audio-over-IP interoperability standard established by the Audio Engineering Society in September 2013. The Ravenna network by ALC NetworX is AES67-compatible, and upcoming AES67 compatibility has been announced for the Q-LAN network from QSC and the Livewire network from Axis Audio. In February 2014, Audinate announced that Dante would be updated to support AES67. Yamaha plans to successively update Dante-equipped products with device and Dante firmware updates that will add AES67 support, beginning with the CL/QL Series Digital Mixing Consoles and R Series I/O racks later this year. Broadcast-oriented features introduced in CL/QL firmware V3 has made it possible for these consoles to be increasingly accepted by broadcast engineers, leading to numerous requests for Ravenna network compatibility. AES67 support will allow Dante and Ravenna devices to work together in broadcast systems that offer unprecedented flexibility and efficiency.